I live in BDR, Bandar DiRaja. Ah Longs are common here, Ah Bengs and Ah Lians also live here. We greet people with unique ..|.. hand gesture. We greet your mom if you stare at us. We cucuk your car if you hog the road. We invent innovative double parking technique. One way street here means one-&-the-other-way street. Welcome to Bandar DiRaja, the town with largest Gagak population and second largest human population in this BullehLand. Nothing is impossible here. I didn't plan to upgrade the HDD of Acer 1810TZ to SSD. However, the deal I got from Newegg Malaysia was too good to turn down. 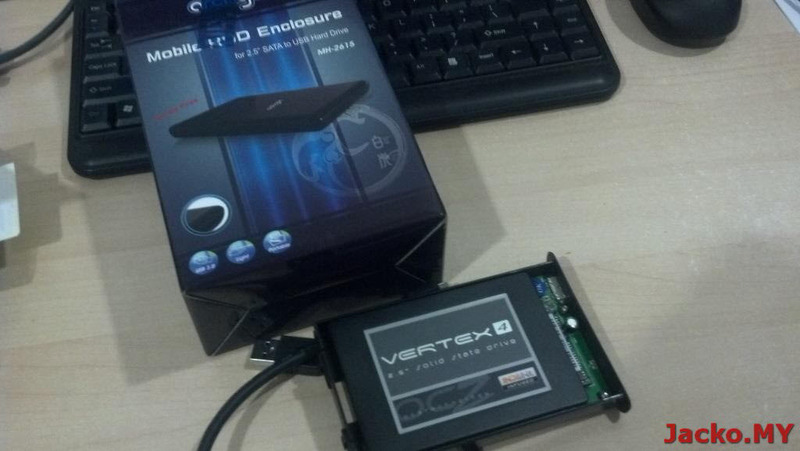 Why OCZ Vertex 4? I did not study and compare the different SSD models, one of my friends did the study and concluded that Vertex 4 with Indilinx chip is the best performer as system disk (to run operating system) among other SSDs. 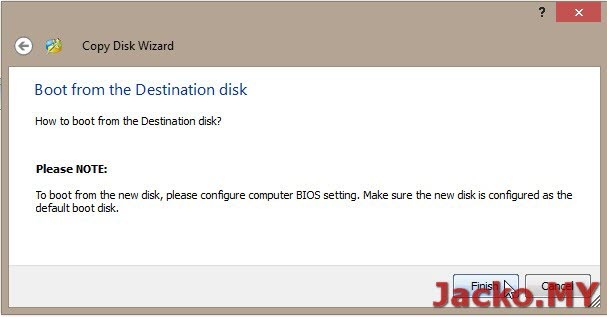 So I can't provide the technicalities about SSD, instead jump straight blogging on installing it onto my lappy Acer 1810TZ. 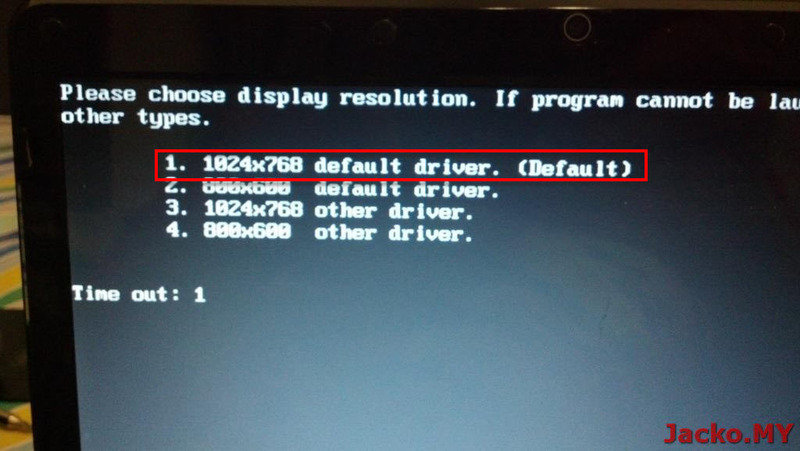 Although it's specific to 1810TZ, this guide is applicable to other lappy as well. 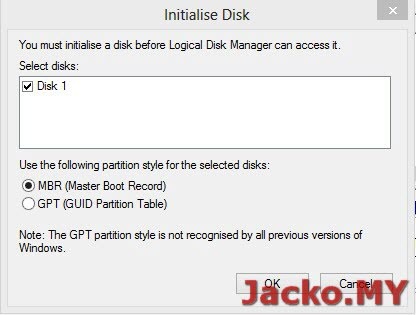 You can definitely go ahead replace the HDD with SSD if you do not bother keeping the hidden recovery partition and want to do a fresh install. 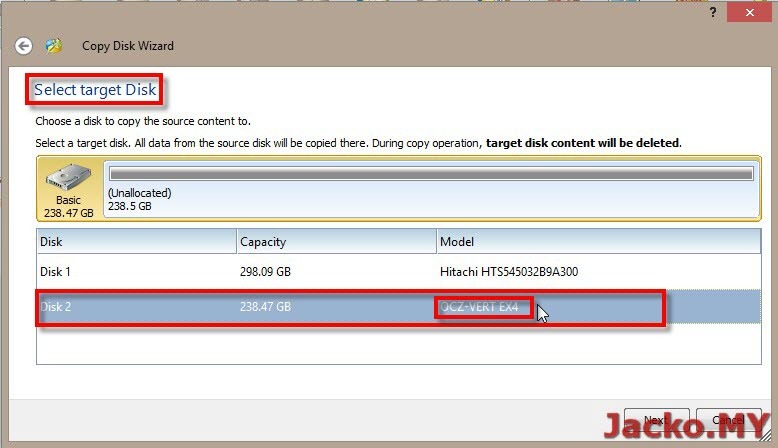 If otherwise like me, this post guides you through on migrating the entire HDD contents to the SSD without doing fresh install. Hit the link to read more. First, it's always good to defrag the HDD before migrate to HDD. SSD uses different mechanism to read/write data so we don't defrag SSD. 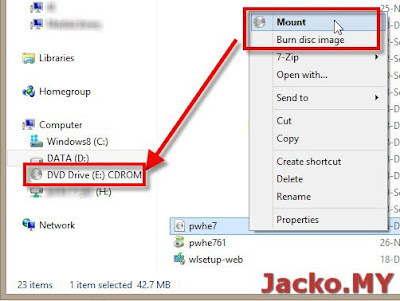 You can use the built in defrag tool from Windows (right click on the disk in Windows Explorer > Properties > Tools > Defragment / Optimize), or buy/download any 3rd party defrag tool to get the job done. 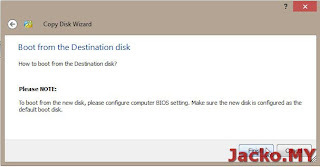 Get a good case to ensure flawless migration. A cheap case i.e. ~RM20 may cause failure midway due to heavy read/write operations (this happened to my friend). I recommend USB3.0 case if you're buying one so that it's future proof. 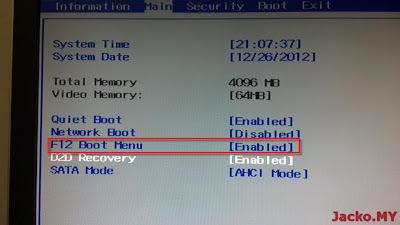 Select MBR if you're asked on dialog box above. 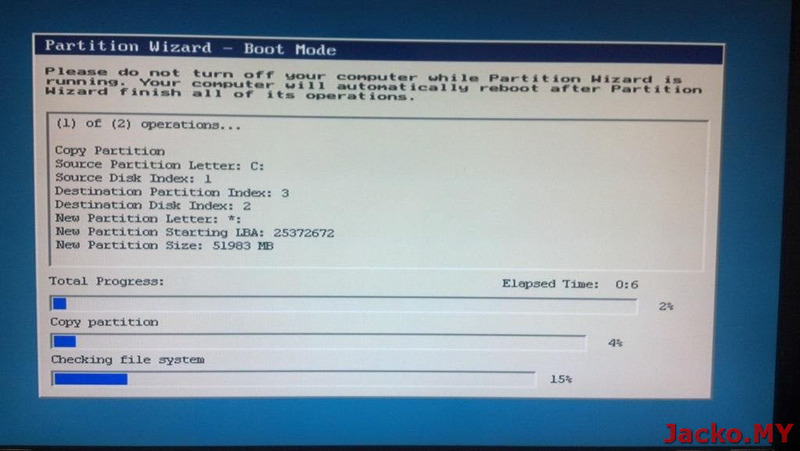 Now, we're ready to clone the HDD. 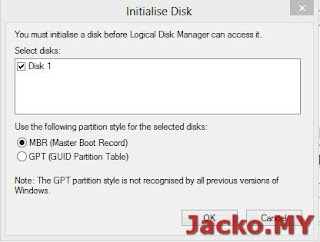 Before you proceed to reboot to the bootable media you've just prepared, it may be advisable to make a full backup of the HDD if you make silly mistake. 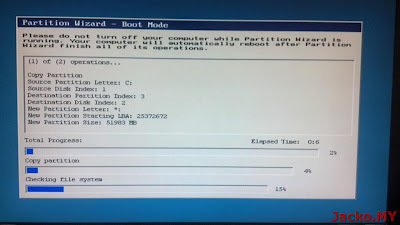 Please note that the following snapshots were from the Windows version of Partition Wizard than the bootable CD version. 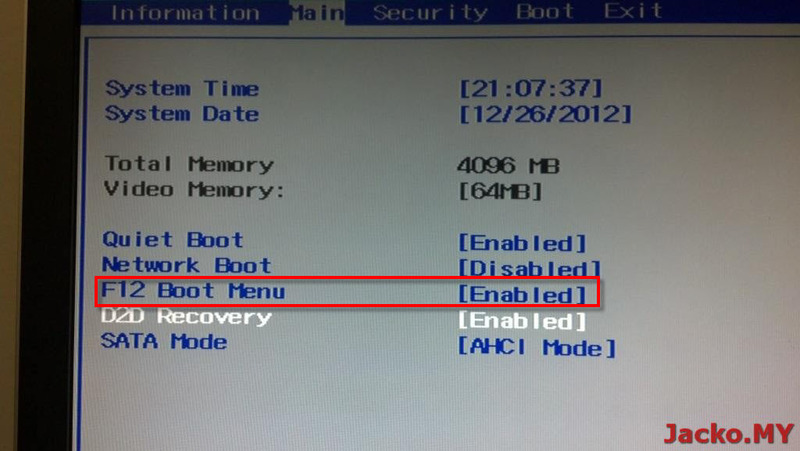 It's easy to snapshot using Windows software than taking photos on bootable version. Both versions share exactly the same interface. One difference is, you have to be very extreme cautious where the mouse cursor is in the bootable version, selection is made when the cursor hover over a selectable item (such as disk and partition) without click, so make sure you select the right item before any action. 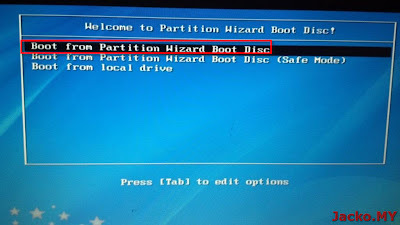 You can quit the bootable version of Partition Wizard once done and boot up to Windows as usual. 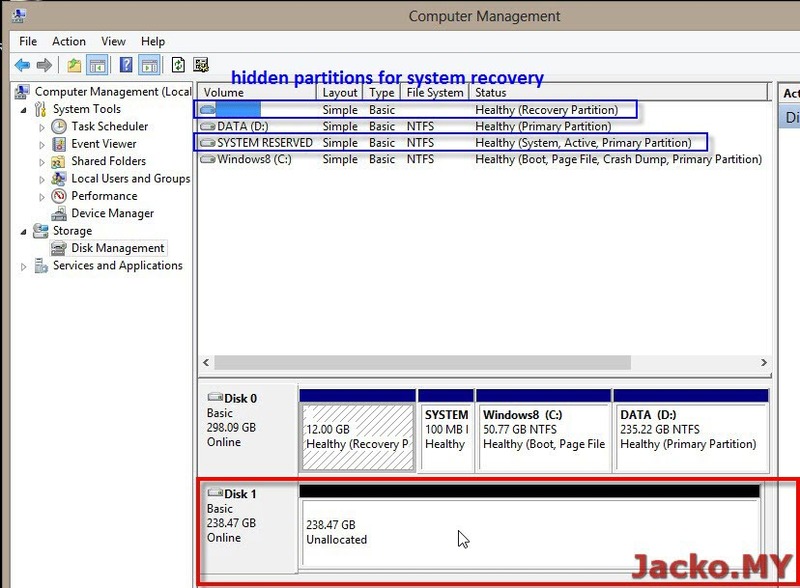 The HDD contents (including all hidden partitions) should have been cloned to the SSD. 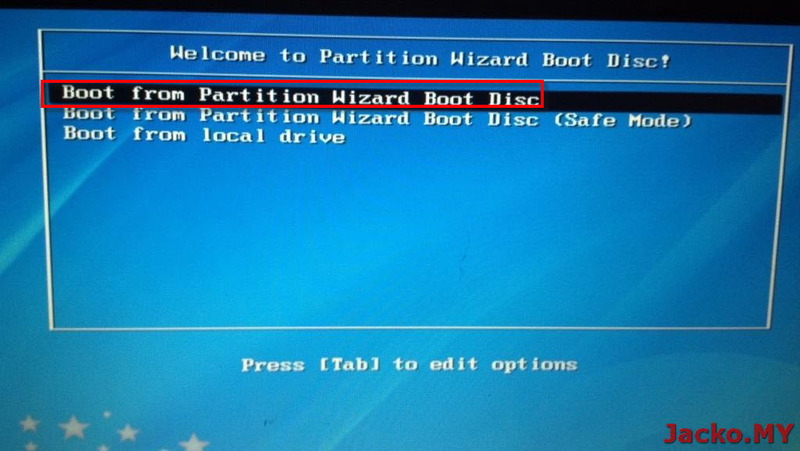 You can verify it using the Windows version of Partition Wizard. 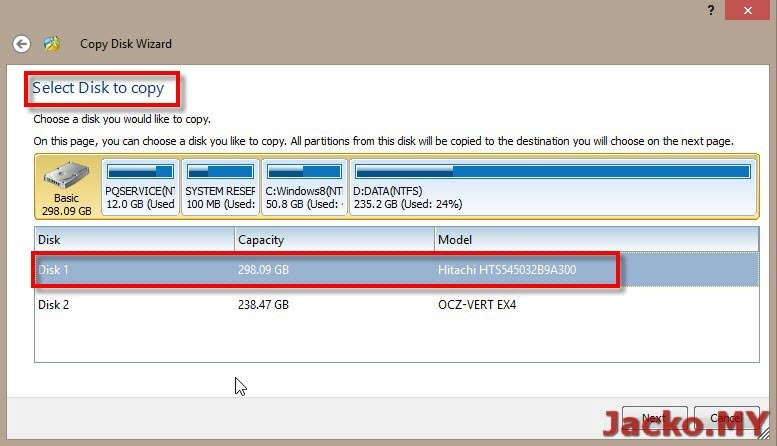 You probably observe that the partition size is different between HDD and SSD. 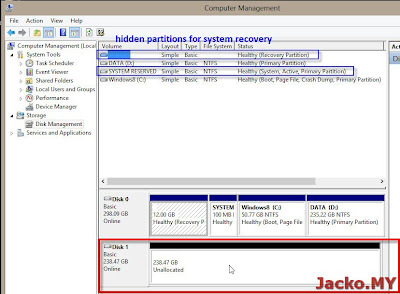 Well, you can resize the partition to exactly the same like HDD if you like. There are many guides like this and this. 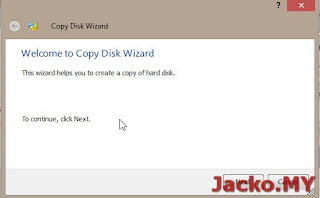 These guides use multiple software to complete the same objective, whereas I find Partition Wizard is very user friendly and get the job done under one roof. 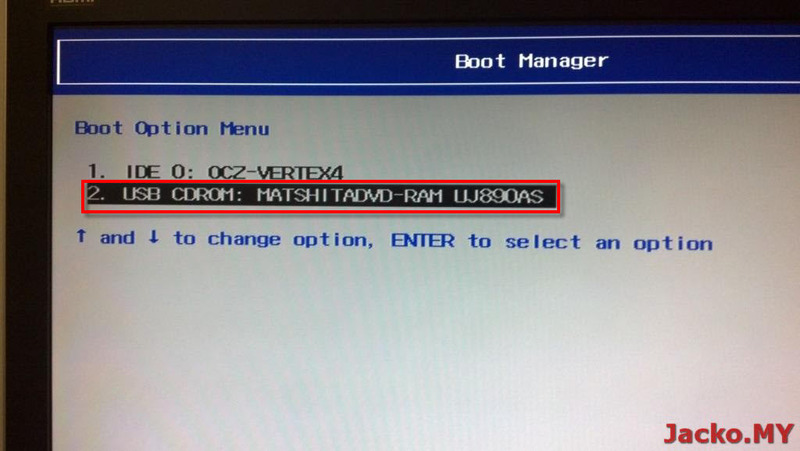 Now the SSD is ready to replace the HDD. 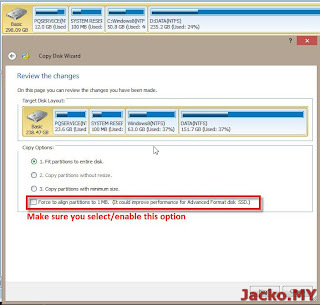 Refer to this post on how to replace the HDD with SSD on an Acer 1810TZ. © JK. All rights reserved. Contact blog [at] jacko [dot] my for enquiry. Powered by Blogger.